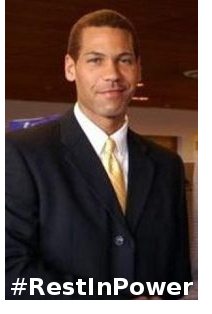 On Wednesday, January 18, I received a call from the devastated mother of Chris Monfort. She told me he’d been found dead in his prison cell that morning. Department of Corrections pigs at Washington State Penitentiary in Walla Walla said that he was found unresponsive at 7:45 am, cause of death unknown. I am so glad I found out through his mom, instead of the police-worshiping, people-hating mass media. In terms of friends, Chris was about quality over quantity, and very few people had his back when he transitioned from “civilian” to “citizen.” That said, I am writing this so you can find out a little bit of who he was in the words of his friend…rather than the police-worshiping, people-hating mass media. He worked as a truck driver, security guard and a host of other odd jobs to make ends meet, though his final career aspirations were in the realm of juvenile justice (he volunteered as a counselor, and threw himself completely into the work) and, eventually, law. He excelled in his classes and had a bright future, even if he got a bit of a late start in life. Academically and otherwise, he was brilliant. He took up his role as “citizen” with professionalism, aplomb and no reservation, yet he abandoned the plan for which he spent months preparing because he would not risk creating unintended casualties. His need to act overtook his better judgment, and his final act of guerrilla war against the police resulted in his near assassination at the hands of the state, and, ultimately a paraplegic life in a cage with no hope for release. Atheist, and hyper-pragmatic, he did not fear death, nor did he expect to survive his “hunting” mission. He very vocally intended to end his own life, rather than live a sub-par existence of constant physical pain and restricted movement, but would not let the state kill him, on general principle. We have yet to determine if he died by his own hand. I take consolation in that he (unlike many Black Panther and Black Liberation Army warriors in whose steps he somewhat followed) did NOT know more years in the cages than outside of them, and that he does not have to endure any more years of pain. Though I set out supporting him because of what he did, I came love him like a brother for who he was as well… and he told me countless times how mutual the feeling was. I came to know so much about him, unfortunately, through invasive trial proceedings than his own desire to be candid about his past. Regardless, the man I came to know over the course of three years was so much more than a “cop killer,” though he took pride in this act even in his final days… and wanted only to see more citizens “speak to the bullies in the only language they understand.” He was able to express genuine remorse for taking a father away from his child, without regret for doing what needed to be done. Like I said, Chris was complicated. He was the brother I never had, and the reality of his death has yet to truly hit me. In my heart, I am still looking forward to renewing his “Combat Aircraft” subscription, and playing RISK with him next visit, even though the rational part of my mind knows this will never happen. But Chris wouldn’t want any of us to be inconvenienced by his death, nor spend time dwelling on it. So I will close by saying this: Chris loved Emma Goldman, and thought her “a great American.” If there were more “Americans” like Chris himself, this country would be worth the lives people like him have given to make it truer to it’s supposed ideals.